Eurostar Business Premier passengers will be treated to a new afternoon menu designed by Michelin starred chef, Raymond Blanc OBE. The updated menu will be introduced following feedback from customers indicating a preference for a fuller range of options during their afternoon journey, with many often missing lunch due to meetings. 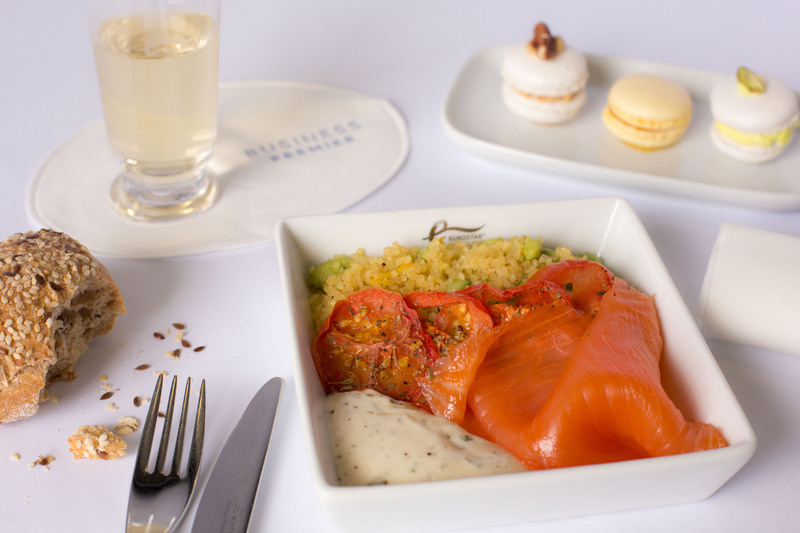 The introduction of the new afternoon menu marks three and a half years since Eurostar and Raymond Blanc joined forces to transform the on board dining experience for Business Premier passengers. Renowned for his passion and innovative culinary expertise, Raymond works with each of Eurostar’s three kitchens to design seasonal menus combining the best of British and French cuisine. For more information about Eurostar Business Premier to book Eurostar tickets visit www.eurostar.com or call 03448 224 777.